Invest today. Grow tomorrow. Realize your potential with the HP Pro 3120 Minitower Business PC featuring proven Intel technology. Designed to handle your everyday business needs with out-of-the-box productivity and future expansion flexibility. - Your business needs evolve. The HP Pro 3120 is designed to change with you. Available ports, slots, and bays allow you to configure your PC to meet your needs today and expand your capabilities when the time is right. - This PC is ready to go with proven Intel® processors, ample storage with hard drives up to 750 GB, a genuine Windows® 10 operating system, dual monitor support, and up to 8 GB DDR3 SDRAM memory. - Easily transfer files with a 22-in-1 Media Card Reader, burn labels directly onto discs with a SuperMulti Lightscribe Drive. Enhance your visual experience via graphics cards with DirectX® 11 support. - With innovative engineering and testing at our core, we’re driving innovations that represent the biggest challenges we and our customers face. So you know you’re getting a reliable and durable desktop that can go the distance. The HP 3120 Refurbished Computer comes pre-loaded with the new Windows 10 to suit your personal or business needs. *A restore partition is created and a complete system image is produced. Gives you the option to reset back to factory defaults should you need to if anything was to go wrong. All Grade 1, Grade 2 and Grade 3 refurbished products on our website come with a free 1-Year Return To Base Warranty**. All of our items, unless mentioned in the listing, are covered by 12 months RTB (Return To Base) warranty. If you have a problem with your item within the first 14 days, GigaRefurb will collect the item at our expense. If you are not happy with your purchase or have changed your mind, returns are accepted within 14 days of receipt of product. All returns are the responsibility of the customer and must be received in their original packaging. After 14 days we do not accept returns for a refund and will be dealt with inline with your return to base warranty. If in the unlikely event your item is faulty if you report the fault within the first 14 days we will arrange to have your item collected at our expense. We will either repair the item and return to you or replace for a like product whichever is applicable. Batteries are classed as a consumable and a perishable item and therefore are not covered under our hardware warranty. However if you find your battery to be faulty within the first 14 days we will repair / replace the battery. The customer must return the faulty battery back to ourselves. We will dispatch your product on the same business day of your order for orders placed before 10AM. For orders placed after 10AM we will dispatch it on the next working day. Our business days are Monday to Friday excluding UK bank holiday. Orders placed on Friday after 10AM and on a Saturday or Sunday will be dispatched by the following Tuesday. Units with software/hardware upgrades or downgrades may require an extra day before dispatch. International orders are generally received in less than 5 days dependant on internation carrier but please confirm shipping costs before purchasing the item. We use DPD to deliver our products. Once you order you will receive your tracking details in an email. If you provide your mobile number you will receive a SMS from DPD with a 60 minute delivery time slot on the morning of your delivery. Once you order you will receive your tracking details in an email. If you provide your mobile number you will receive a SMS from DPD with a 60 minute delivery time slot on the morning of your delivery. Free, tracked next day delivery with DPD Predict - Weekend Delivery £3.50. Dispatch after 1 business day. 2 Day Service with DPD Predict - £14.99. Dispatch after 1 business day. Orders before 10:00AM on Monday to Thursday will be dispatched on the same day for next-weekday delivery and orders made after 10:00AM will be dispatched on the next working day. Shipping for mainland UK addresses is free. EU shipping addresses and offshore UK addresses incur an additional charge. Our refurbished Product's are packed in a made-to-fit unbranded box with custom void fill packaging providing a fresh, out of box experience. If you have any questions, please contact our team on 0161 745 9720. This is new! It may not come in its original box, or the original packaging may have been opened and re-sealed, but the product itself is untouched, never owned and simply brand new. These refurbished laptops and refurbished computers are in great condition. May have some light cosmetic scratches / scuffs on cases and may have some wear on touchpads or keyboards... they are used after all! No blemishes on screens. Some examples may show no signs of use some may some signs of use. All are fully tested using our 21 point cosmetic, operational and stress tests. All are Fully Tested using our 21 point tests and stress tested. These refurbished laptops and refurbished computers are still good! Expect heavier signs of use. Again all components and software is of the same quality as grade A but at a cheaper price! Earlier this month Amazon-owned Woot ran a deal on an SSD with the Kodak brand that netted those who ordered 480GB of SSD storage space for a scant $40. If you missed out on that deal and have been kicking yourself for not upgrding to SSD goodness, you have another chance. This time it's an actual a device from a well-known storage brand name that is on sale that you will instantly recognize. We are just at the early stages over the shift from 4G LTE wireless coverage to 5G. So far in the United States, only AT&T and Verizon have lit up their 5G mobile wireless networks, but coverage is limited to just a handful of cities and 4G LTE-trampling speeds are spotty at best. 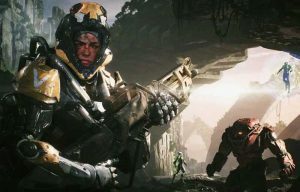 BioWare's Anthem was highly anticipated when it was first announced, but the launch didn't go as planned for the developers. The game has been plagued with bugs and issues that gamers have been unhappy about (like a recent bug which made the level one weapons in the game the most powerful weapons of all). Aside from bugs in the game, a report came out about horrible conditions in the workplace that contributed to issues with Anthem. © 2016 GigaRefurb All Rights Reserved.